NEW! Multitech Drone Delivery System is Launched! Plus, a Royal visit, investment news and recruitment updates. Yes…it is now British Summer Time! But once again it seems that Mother Nature didn’t get the memo? Still, once the Easter snowfall has thawed, and the flood water has subsided we must surely be due warmer weather and a return to some semblance of normality? March was another great month for Multitech with excellent sales figures and plenty of long-term projects due to start throughout 2018. The demand for temporary electrics and temporary site services is on the increase with new UK construction and development projects being given the go-ahead. Looks like our 20th year is going to be an outstanding one! Multitech Site Services take great pride in being leaders in the temporary site services industry. Inspired by Amazon, UPS and NASA investing in drone fleets to provide package transfer and delivery, Multitech has implemented a Drone Delivery System (MSSDDS) to take care of the distribution of equipment to construction sites. This environmentally friendly method will also provide huge cost savings for the business including vehicle purchase, fuel, road tax and insurances. Once airborne, the pre-programmed drones fly to their destinations and are able to land with almost complete accuracy and most of the time avoid roof tops, tree and power cables. On delivery, an awaiting electrician detaches the equipment from the drone which automatically detects the weight change and returns to its start point. Initially the Multitech Drones will take off from the head office in Great Dunmow, with the service starting on 1st April 2018 when deliveries will start being made into London and the South East, with the second phase distributing from the Multitech Midlands Office at a later date. 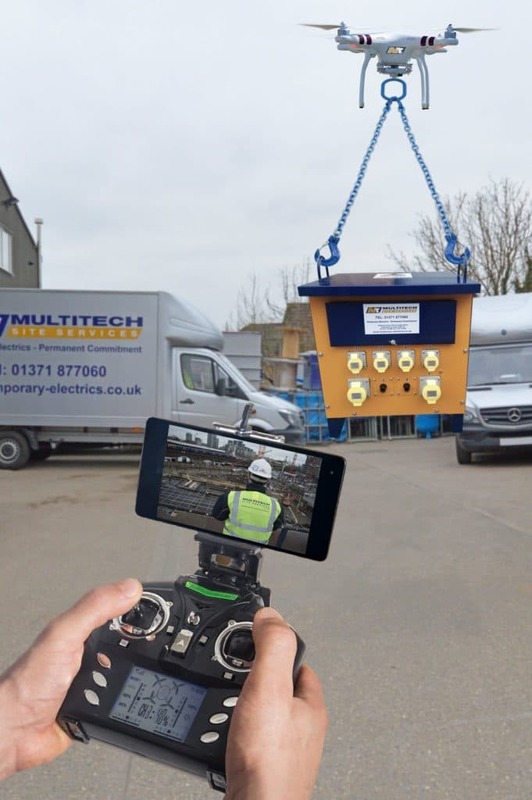 Multitech were proud to support the Open Doors initiative, helping to publicise during the lead up and during the event which gave people a unique chance to see behind the scenes at major ‘live’ construction sites across England, Scotland and Wales. We visited two incredible projects: The Old Admiralty Building in London (a Willmott Dixon Interiors project) and the astonishing Bouygues UK Proton Beam Cancer Center construction. 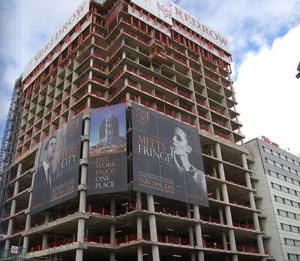 Both projects, whilst significantly different from one another, are equally inspirational and give any visitors an appreciation of the sense of achievement a career in construction can bring. Open Doors is an excellent opportunity to discover how buildings and structures are constructed and to find out about the diverse range of skills and professions needed on site and provides a great insight for people considering a career in construction. The 2018 Open Doors event saw over 3,000 bookings across more than 130 construction sites in England, Scotland and Wales. On 7th March Prince Harry visited a project where Multitech are providing temporary site services. The Silverstone Experience in Northamptonshire is scheduled to open in 2019 and promises to be an educational centre that will tell the story of Silverstone (of which Prince Harry is a Patron) and the history of British motor racing. Prince Harry's visit concluded with him switching a set of racing lights from Red to Green to symbolise the start of construction. Multitech has just invested £350k in fourteen new vehicles: four delivery vehicles and ten transit vans, all customised, sign written and ready to join our fleet. And so with the Met Office hinting at milder weather ahead…maybe not dryer, but milder…and with families about to enjoy a well-earned Easter break, we wish you all a great April!